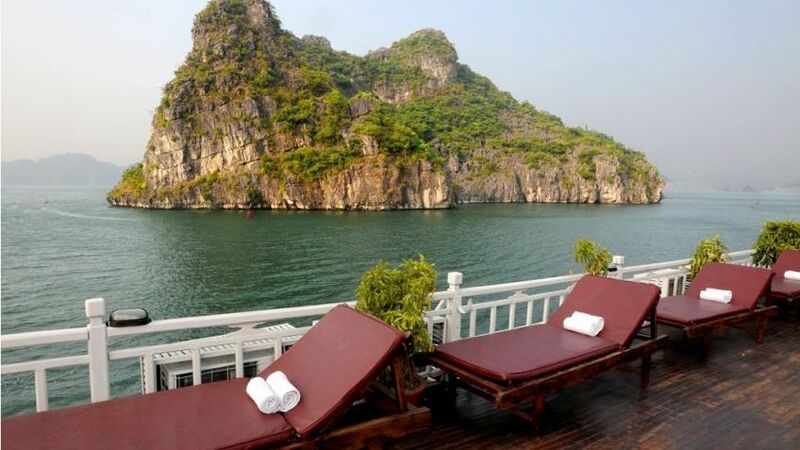 07:30 - 08:30: Our tour guide and bus pick you up at your hotel in Hanoi Old Quarter and transfer to Halong Bay (book transfer in next step). Have a short break for about 20 minutes. 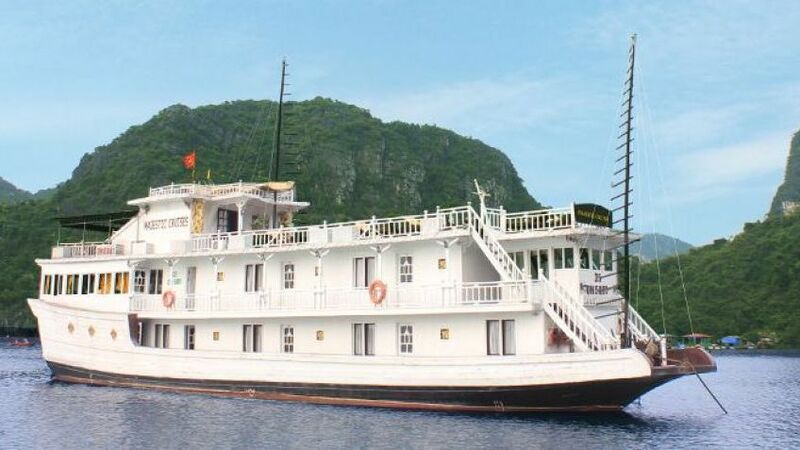 12:00 - 19:00: Arrive at Tuan Chau harbor, Halong Bay. 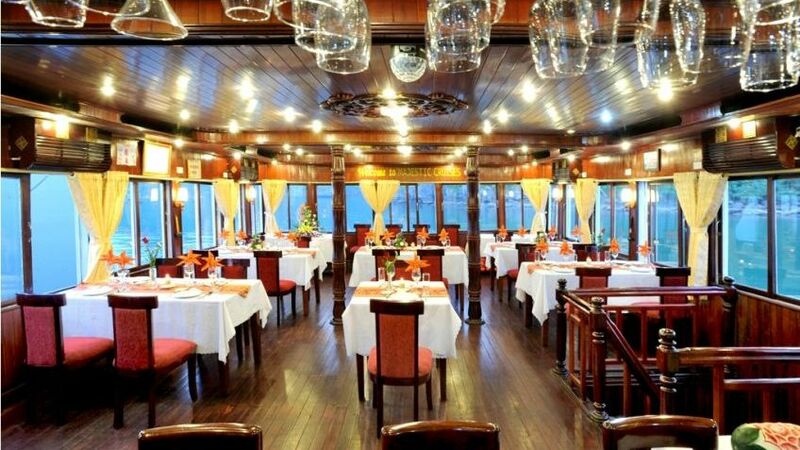 Embark to Majestic Cruise and enjoy welcome drink, get a brief introduction and safety guidelines. Check-in to your cabin. 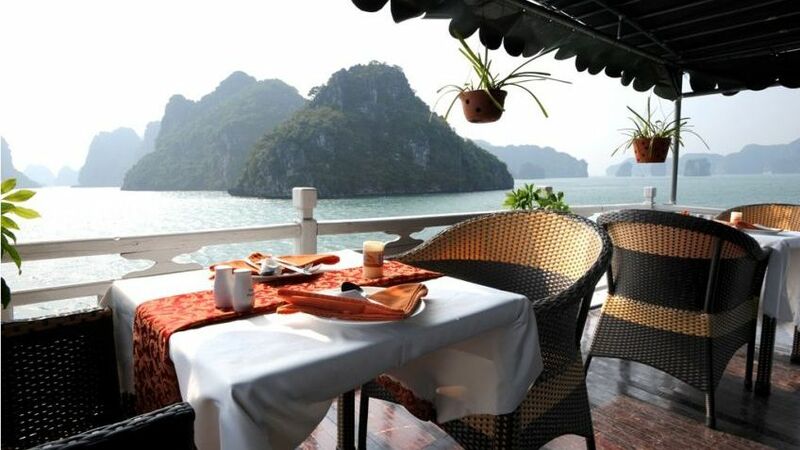 Vietnamese lunch is served on board while cruising into the magnificent Halong Bay. In the afternoon, arrival in Van Gia floating fishing village, take rowing boat through the village or kayaking to visit around the village. 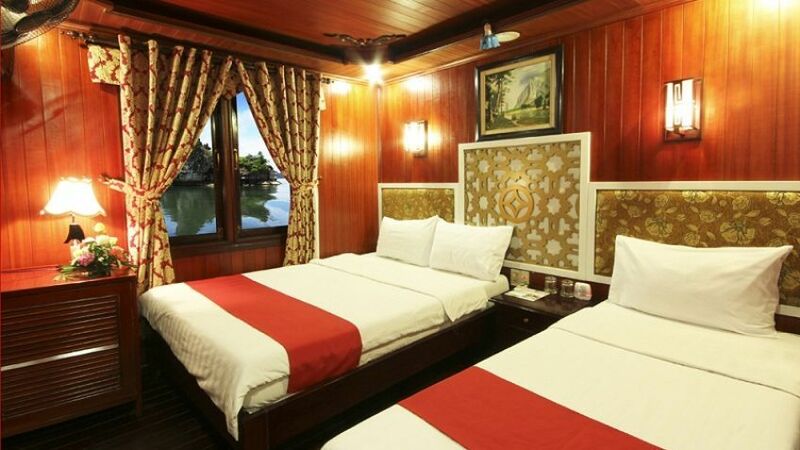 Then continue exploring Halong Pearl Farm Village, or you can swim in the bay. 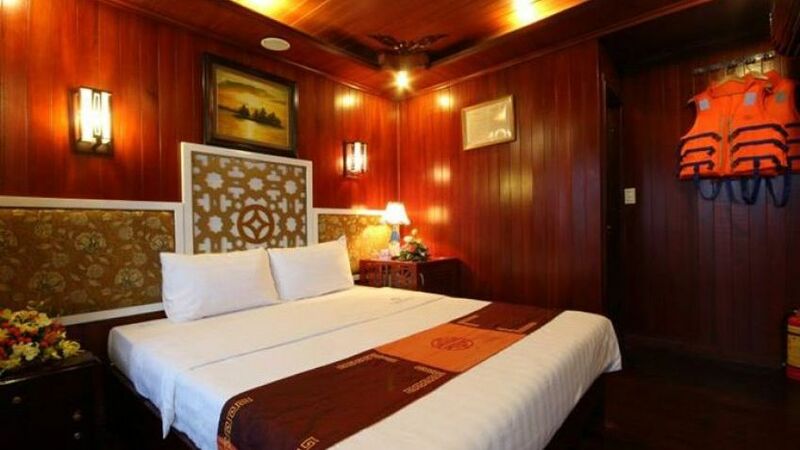 After the excursion, get back to Majestic cruise and relax. 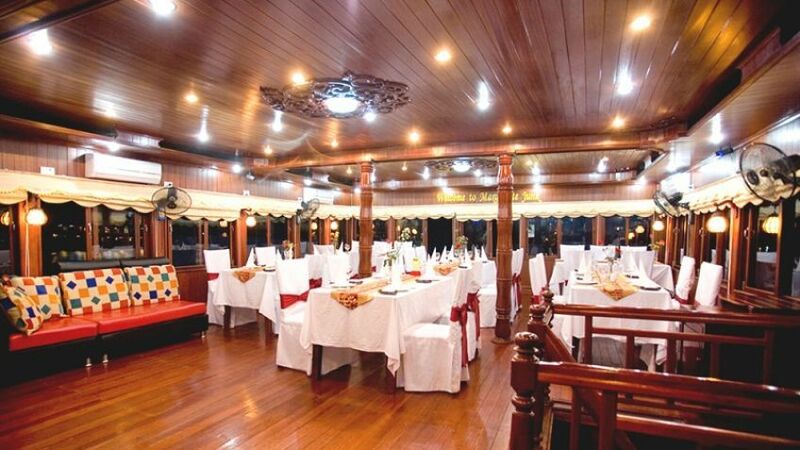 Join the cooking class guided directly by chef of the cruise. 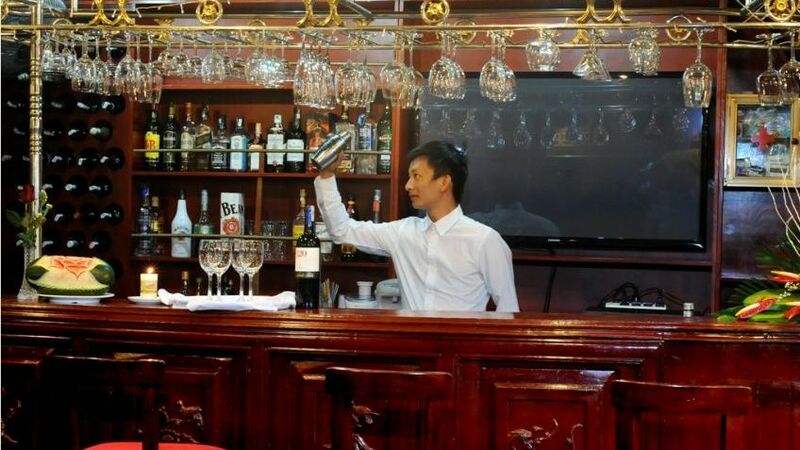 You will have the chance to practice Vietnamese traditional dishes such as spring rolls. 19:30 - 21:00: Time for dinner of special BBQ seafood on the cruise. Evening entertainments: cards game, chess, karaoke, squid fishing, etc. 06:30 - 07:30: You can wake up early to join the Tai Chi lesson on sundeck. Breakfast is served in restaurant. 08:00 - 12:00: Arrive at Sung Sot Cave, join with guide to visit and explore the cave. 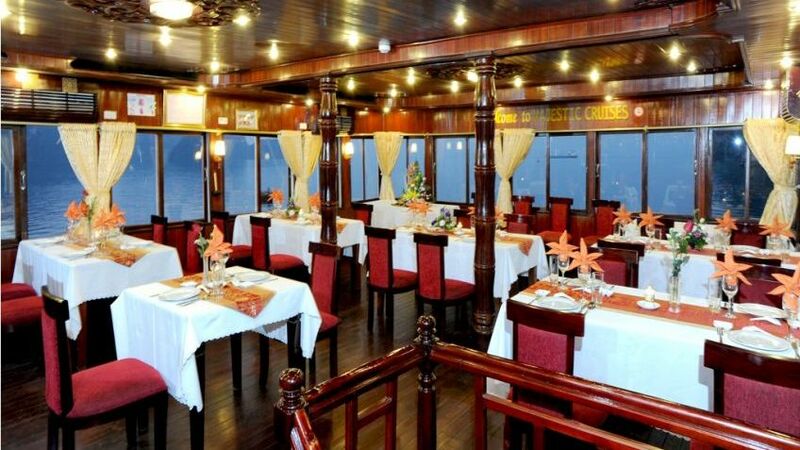 After the excursion, get back to the cruise, check-out and enjoy enjoy lunch on cruise. 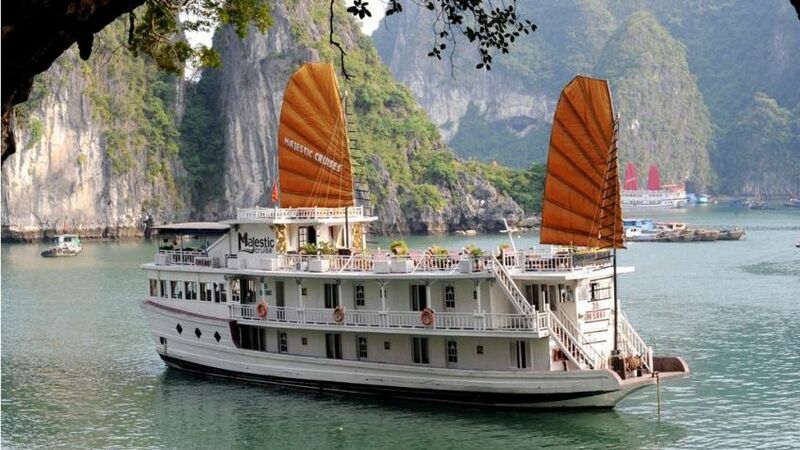 Majestic Cruise gets back to the Halong Bay harbor. 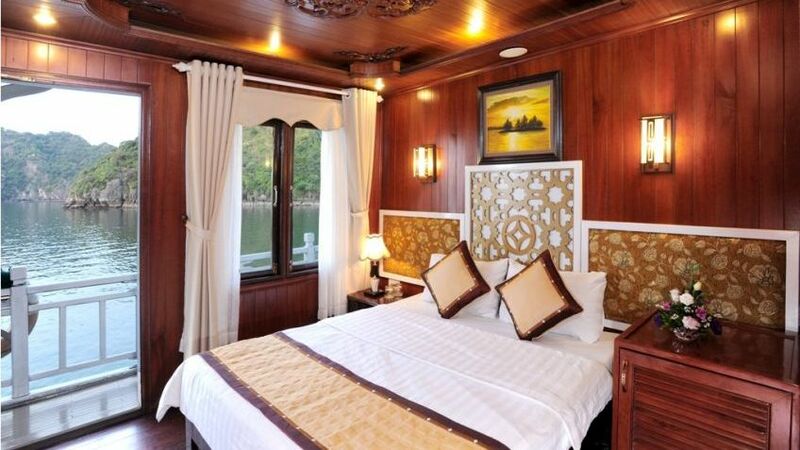 12:30 - 16:30: Disembark the cruise and transfer back to Hanoi. End of services. 06:30 - 08:00: You can wake up early to join the Tai Chi class on sundeck. Breakfast is served in restaurant. 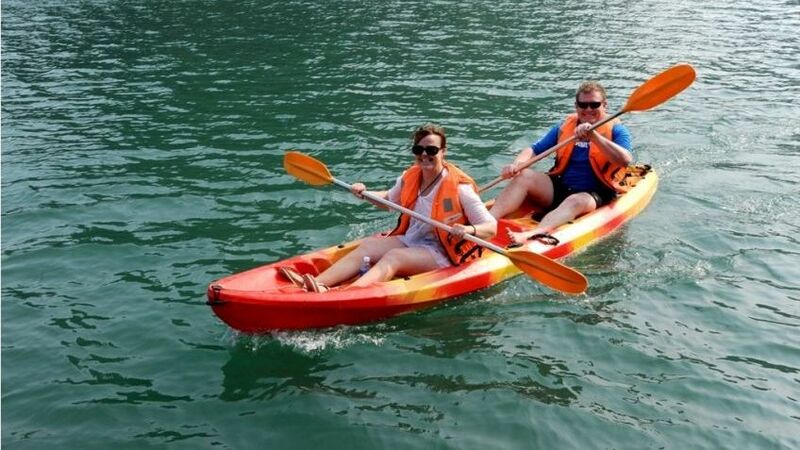 08:30 - 19:00: Transfer to smaller boat to visit Ho Dong Tien Cave and explore the cave by kayak. At noon, get back to the day cruise and have lunch. After lunch, you will have time to take a short rest and then join the afternoon activities. Enjoy kayaking to explore the Drum Cave. At the zone you can take free activities such as swimming or sun-bathing with the bay air and turquoise water. 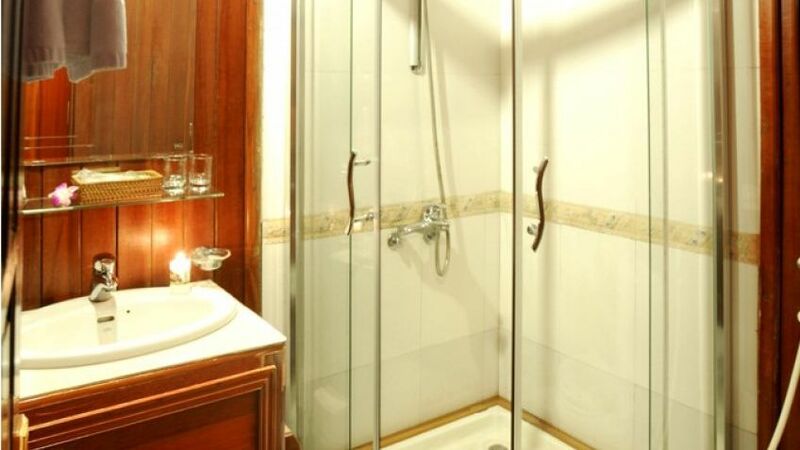 After the excursion, get back to the cruise to freshen up. 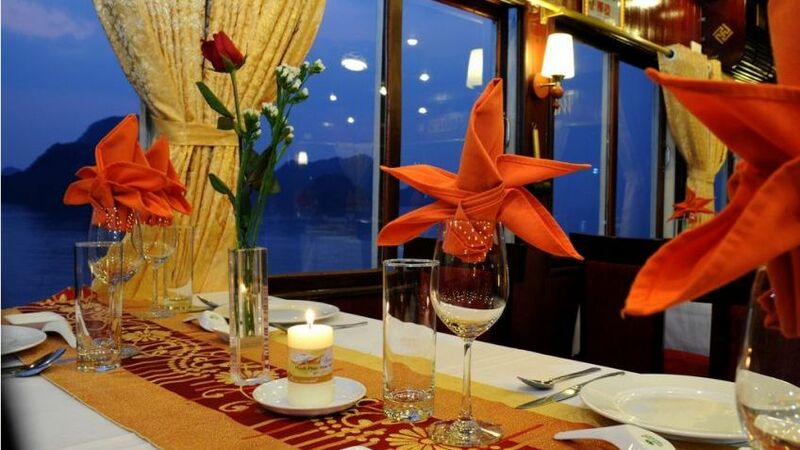 19:30 - 22:00: Enjoy dinner on cruise. Evening entertainments: cards game, chess, karaoke, squid fishing, and overnight on the Majestic Cruise.